You need a VPN for activities such as online banking. But why? For all the advancements in the fields of finance (blockchain, cryptocurrency and everything else), the reality is that the majority of banks actually do not allow their customers to access their bank accounts when they are abroad. They do it because of some security reasons of course. But that does not change the back that such restrictions are very inconvenient and impractical for most users. Therefore, the solution that we recommend to users to solve this issue of theirs is to sign up for a VPN service and use it. How do I access my bank account when abroad with a VPN? The reality that you have to come to terms with is that when you are somewhere abroad, you cannot avoid trying to access a public WiFi spot which probably belongs to an untrusted and public network. Most of the times you will either connect to a public WiFi network that is available at a mall or a coffee shop. You may even try to connect to the WiFi that your hotel gives you. The thing you need to understand about all such connections is that they are inherently not secure. Hackers can easily compromise public WiFi networks. And they can do so with the help of several different online methods. Modern hackers are clever and educated bunch of people. In other words, they have familiarity with the latest happenings in the industry that they want to ‘work’ in. And these hackers know that online banking has really taken off. Especially if we are talking about the developed (OECD) world. Hackers also know that in order to get work done and get ahead online consumers will do everything in their power to connect to the internet. And that’s the temptation that they are relying on. Online consumers will, at one point or another, try to connect to a wifi network that is public. And once they do, hackers can step in and do their magic. This should be enough to make you understand why your personal data and other information are so vulnerable on the internet. Our research even shows that hackers could even get a hold of your financial information. They can potentially compromise each and everything that you have on your computer if you do not take the proper steps to defend yourself. Sometimes hackers would not want to do anything with your data personally. Such hackers just sell your data by revealing it to the public in the dark web. And that is exactly where a tool like a VPN service comes in. If you use a VPN service to protect your internet connection, you actually secure your data and keep it private. If you want to learn how to use a VPN to access your online banking service then follow the step-by-step guide below. This guide will help you to unblock your online banking services abroad in any given country. First, sign up for a reputable VPN service because your financial information is at stake. You have to make sure that you not only sign up for a legitimate VPN service but a reputable one. Our research shows that IPVanish is the best VPN for online banks at the moment. Click here to sign up for IPVanish from the official website and at a discount. Then you need to go to the official website of the VPN app and download its official VPN app. Then you need to install that VPN app. Most good VPN service providers offer users dedicated VPN applications for various platforms such as Android, iOS, iPad, iPhone, Mac, and PC. Then you need to run the official VPN app, input your login credentials and then connect to a VPN server that is located in your home country. After that, all you really need to do is to access your official banking site online from any place in the world. As mentioned just now, the best VPN service to use for online baking right now is IPVanish. There are other VPN services out there in the market as well but we think IPVanish is the best. When you are abroad, you essentially need a VPN service that is secure and fast. A VPN service should use full and comprehensive encryption technologies in order to secure data. Not only that, the VPN service should have no problems in blocking online hackers and other threats. IPVanish is great that replacing your original IP address with a new IP address that belongs to your country of origin. More specially, to a VPN server that is located in the origin country of the user. Our research shows that IPVanish is a good VPN for online banking because it provides state of the art encryption implementation and security features. All of this helps IPVanish to protect the user’s internet connection. 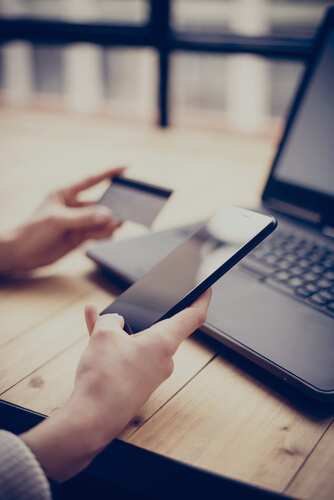 And that is of the utmost importance when you are busy accessing your online bank accounts or doing something else that is sensitive and/or private. Fundamentally, all you really need is a good VPN service that you can afford. Online banking is serious business so we would advise you to not give the cost of a given VPN service too much importance. Here is a small list of VPN service providers that we think are the best VPNs for online banking while abroad. 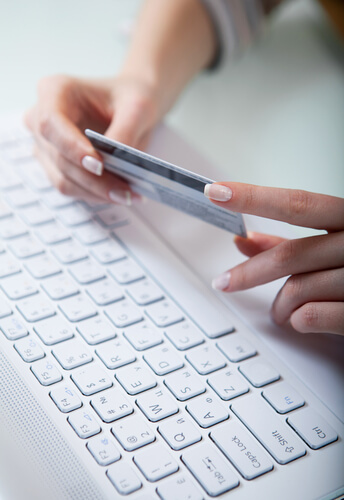 Why should you give importance to a VPN service for your online banking needs? A VPN service is the only reputable tool in the online world that is able to encrypt each and every piece of traffic that is either coming in our going out of your internet-enabled online device. And it does that by making use of an intermediary VPN server. When you use a VPN service, you actually provide yourself with an extra layer of online security. The thing that is so special about this security layer is that it is able to withstand attacks from anyone and everyone. No one can penetrate your defenses if you make use of a VPN service. Our research shows that a VPN service is very good at hiding the user’s IP address and hence make the user look like he/she comes from a different country that is not the user’s original country. In other words, a VPN service can change your location to anything that you want it to. 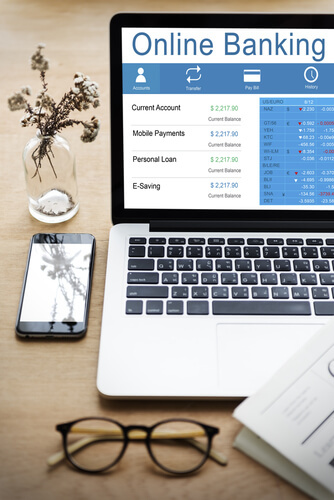 All these features and actions that a VPN service is able to offer and perform essentially make it incredibly convenient and easy to access one’s online banking account from any place on the map. It is true that banks have made it a habit, of sorts, to make use of geo-restrictions in order to block their services and websites abroad. If you make use of a VPN service you can actually get past all such security measures. Let’s take a look at some of the biggest advantages you will be able to benefit from once you sign up for a good VPN service. As we have just mentioned, you may or may not be able to sign in and make use of your official online banking website and/or account when you are traveling abroad. If you try to access the official website of your bank from abroad or any other country other than your origin country, then the bank would consider that as suspicious activity. This is the reason why the bank would often move ahead and block your account temporarily in order to protect your data and money. In such a situation, you have no other choice but to have access to an IP address that belongs to your hometown or nearby in order to do some online banking from abroad. This is where a VPN service comes in and enables users to connect to a VPN server that is located in their own country. Once a VPN service is up and running it almost seems like nothing has changed for the user. A VPN service does a tremendous job of encrypting the user’s online traffic and data. 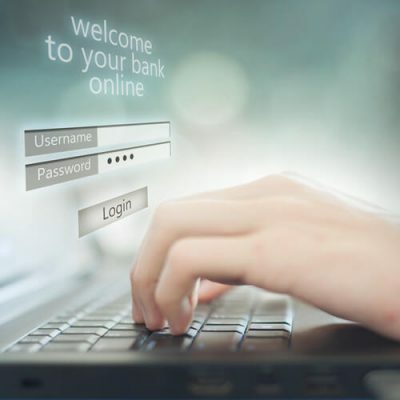 Thus, it is able to create a safe and secure connection between the user’s online official banking website and the user himself/herself. That also happens to mean that the user’s credit card details along with data and online identity never gets exposed to the outside world of marketers and other third-party advertising companies. With the help of a VPN service, you will have no problems in accessing the official online website of your bank and even some other online payment services. A VPN service will enable you to do that even if you have connected to a public WiFi network. Furthermore, a good VPN service ensures that you are able to do all of the above activities without any kind of risk. For example, if you are waiting for something at a hotel or an airport or even a restaurant (or any other place) and you decide to make use of a public WiFi network, then a VPN service would quickly encrypt all of your traffic to keep you safe in no time. Using a VPN service also makes sure that no one else on the same WiFi network is able to access all or any of your data. For clarity’s sake, we want everyone to understand that in the modern world of the internet, your data is too valuable and too critical to be left alone without any protection while you are busy banking or shopping on a public WiFi network. The main you want to do while abroad is to make sure that you prevent hacking attempts, phishing scams and fraudsters in the online world. You also have to satisfy your official bank website that you are in your original country. To do all of that you need the help of a VPN service. A VPN service will allow you to carry out any and all types of banking activities abroad or home. But you have to keep in mind that without a VPN service, a lot of banks will simply refuse to allow you to do business when you abroad. So in order to access your bank account abroad, you will have to sign up for a VPN service. With some assistance from a good VPN service, you will have all the access that you need to draw or deposit money from and to your account respectively. All the while, your VPN service will make sure that you are safe while doing all of those online activities. Again, our recommendation for best VPN for online banking is IPVanish. IPVanish is the best because it is trustworthy and reputable. It also offers fast speeds and takes advantage of the latest happening in the field of encryption and security. All IPVanish packages come with a seven-day money-back guarantee so you do not need to take any risks when you sign up with IPVanish.